I see a lot of people who want a cheap and custom security system for their apartment, home, or business. I recently accomplished this and want to share how. Hopefully this will inspire people to be proactive in protecting their property. Most of these things can be changed with alternatives such as the cameras, software, DNS host, online storage, etc. This was the setup which I found to work best for me. Cameras for pictures and video recording capable of good quality night vision. Motion detection to determine when to record video. E-mail and text message alerts based off motion detection. Remotely monitor the cameras from anywhere. Online backup of all pictures and video in real time. Plug in each camera to an outlet for power and connect it to your home network (router) with the provided ethernet cable. 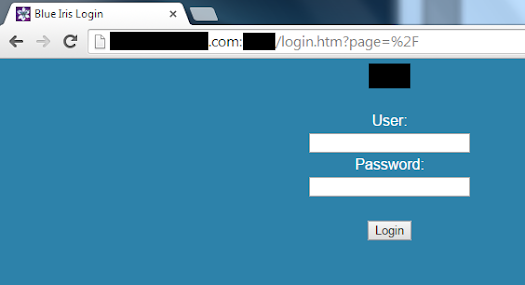 Login with the default 'admin' user and no password. You should then create a strong password for this account, with a max of 12 characters. I suggest using a password manager or similar to create a complex password. 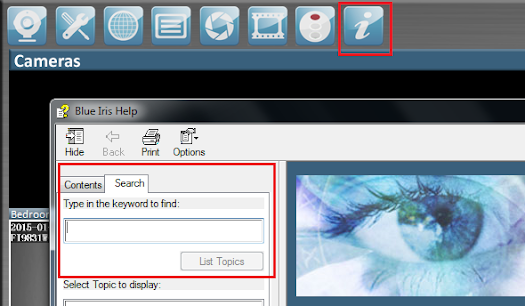 Once logged in you can go to Basic Settings>User Accounts to delete the 'admin' username and create your own. Login to each camera and disable DHCP and assign each one its own static IP address. This makes it easy to unplug the camera when you don't need to use it and power it back on when you do. Enter and save your network information in Network>Wireless Settings. This is assuming the cameras will be used wirelessly and not always connected via an ethernet cable. That was easy! After you do this for each of your cameras you are pretty much done with setting them up. 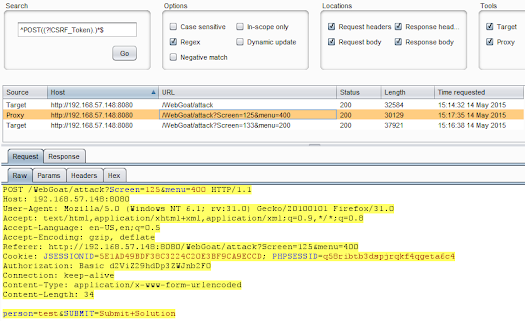 Go through each page and configure them how you like, but remember all motion detection and alarms will be done with the Blue Iris software (which is not a necessity, just my preference because of the many options). You could set up detection, alarms, and remote monitoring with just the Foscam cameras without Blue Iris software however there are drastically less configurable options. Add a camera by clicking the '+' button in the top right corner of the Camera’s window. Add the settings for the type of camera you own. There is a large drop down list to choose many different cameras. 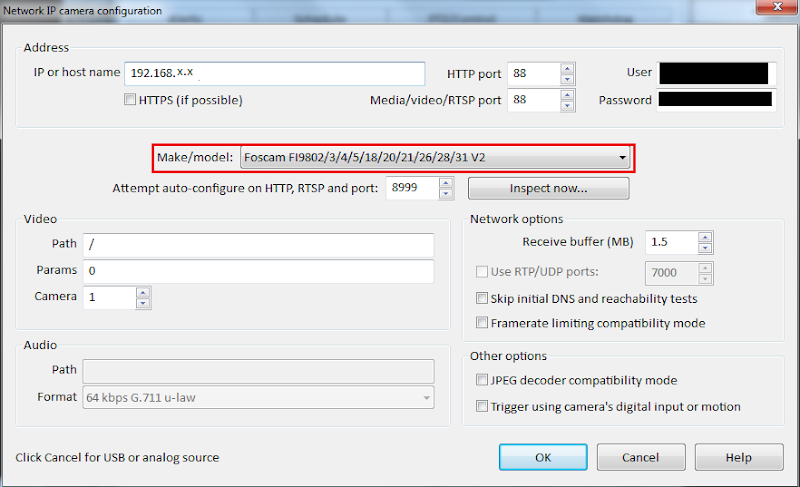 The user and password are the credentials you used to set up the cameras in step 1. 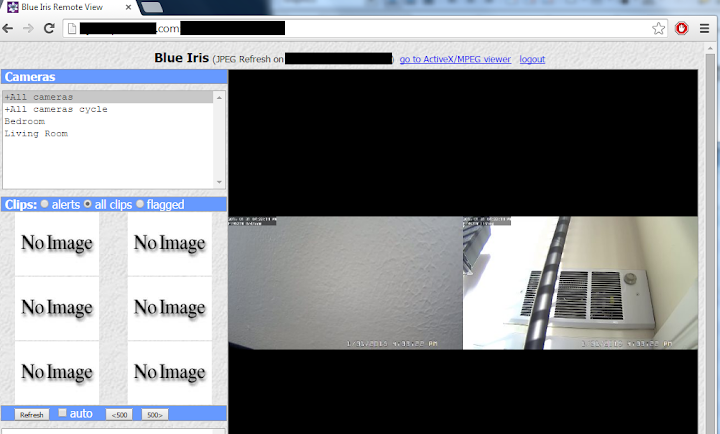 Now that the camera is added and connected to Blue Iris you can configure various motion detection and alarm options. Some of these options may take some trial and error to find which settings fit your desired security solution best. 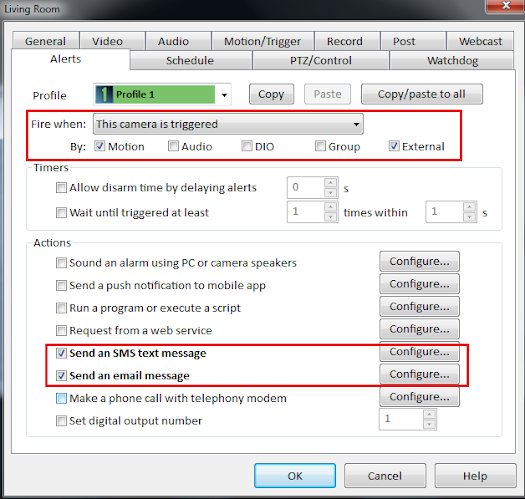 These are my settings for motion detection and what actions are taken once motion is detected. I have it recording video and taking snapshots once any detection happens. These are my alerts settings. 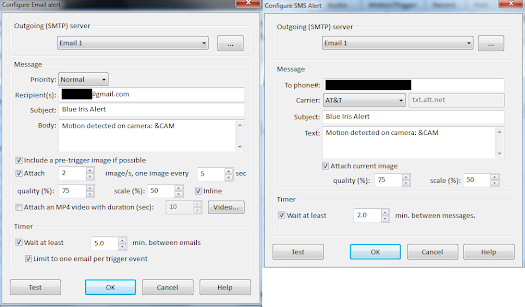 I immediately get a text message and e-mail with snapshot if the motion detection is triggered. At this point you have your cameras set up with the correct detection, recording, and alert settings. Currently recorded media is being saved to the local hard drive of the laptop or whatever device you are running Blue Iris on. The only thing left to do is online backup/storage just in case an intruder were to steal your laptop, thus losing all of the evidence, as well as accessing the cameras remotely (optional). I'm going to go over setting up Google Drive to automatically sync all of the recorded video and pictures since it's free and you get 15GB. Any good security solution should always have some type of online backup. Make sure it’s connected with your desired Google account. That's pretty much it! Test it out by dragging files into the folders to make sure they sync immediately. I like to have Google Drive boot on system startup so it's one less thing I have to do before I start Blue Iris. 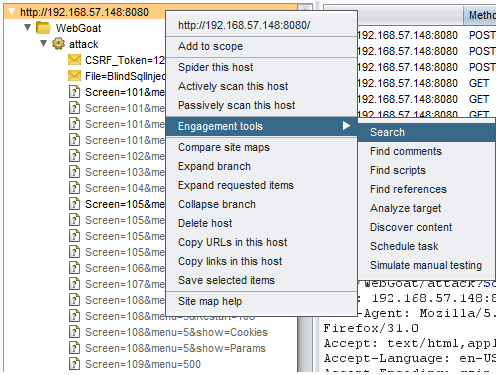 Remote access consists of two things, the Blue Iris web server and a DNS host. Be aware this does increase the attack surface of your network so always use strong passwords and understand that nothing is ever completely secure. If you aren’t actively using your security system or planning on remotely accessing your cameras I would not run the Blue Iris web server unless you absolutely have to. Go to Blue Iris options and select the Web Server tab. Use the 'Find address now' button or Google to find your public IP address. Choose a port number which is not being used on your laptop. I like to choose something not obvious (80, 443, etc.) however this is just an obfuscation technique and is not truly security. 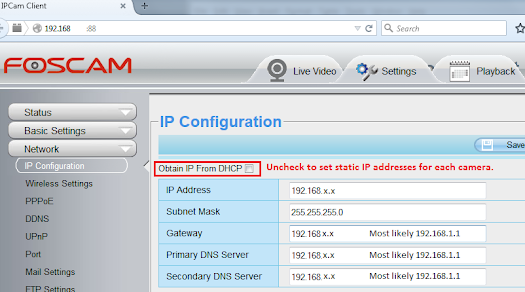 Add your local and external IP address as well. Login to your router and forward the port number you just configured for the web server: You should now be able to remotely access the Blue Iris login page from the external IP and port you configured previously. 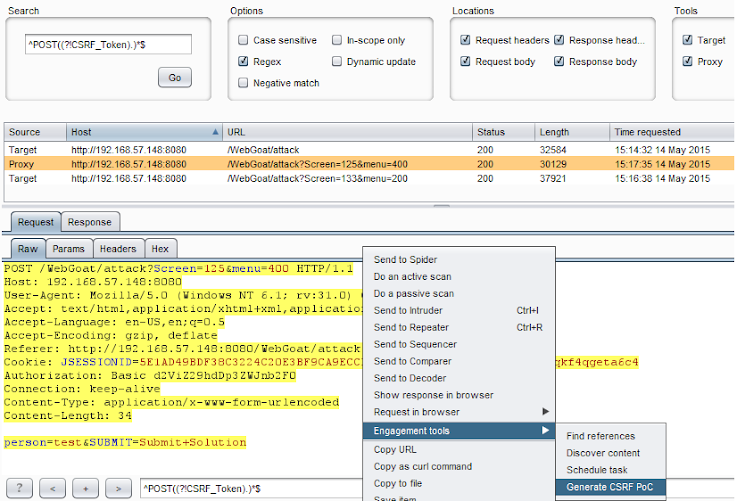 What if your public IP changes? 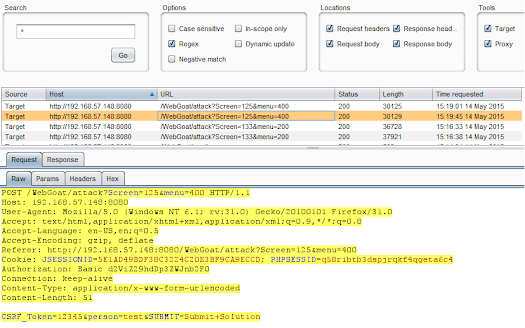 Use dynamic DNS. 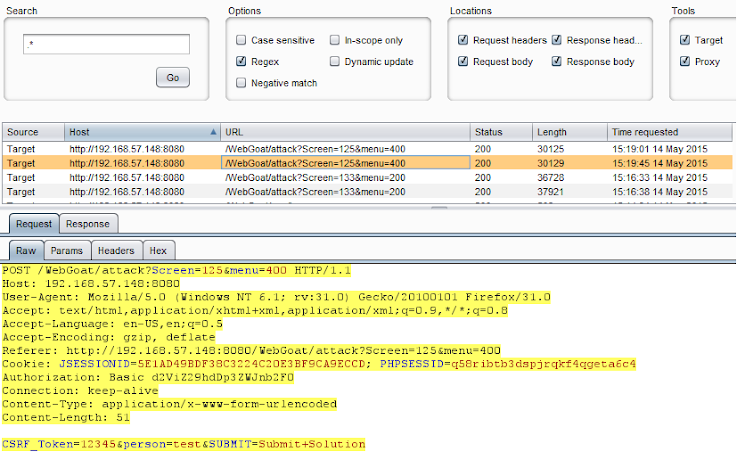 There are many good free DNS options out there, I chose FreeDNS. 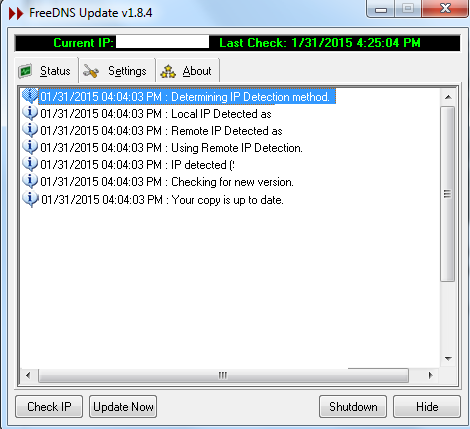 Create an account at FreeDNS, add a subdomain, and download a dynamic DNS client such as FreeDNS Update. Add your FreeDNS account information in the settings tab. You will want this running whenever you want to remotely access your cameras. Done! So before I leave the house I turn on the system by using the 'traffic signal' in Blue Iris and setting it to green. 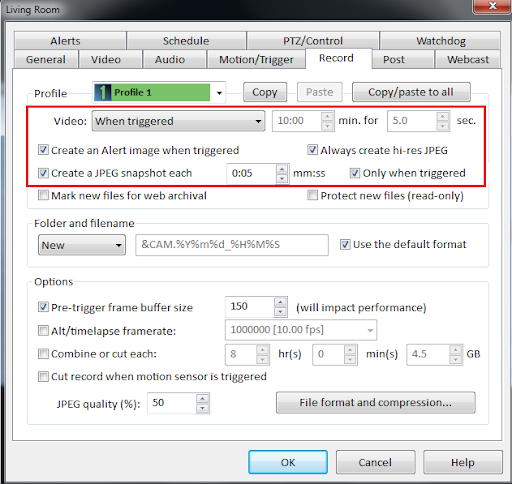 There is an option in Blue Iris to define the amount of time before motion detection and recording occurs. I have that option set to around 5 minutes so it doesn't start recording me leaving the house and send unnecessary sms and e-mail alerts. So before I leave my house I have my laptop running Blue Iris, Google Drive, and FreeDNS Update. I usually try to put the laptop in a place which isn't obvious so there is less chance of it being stolen if someone did break in. My laptop uses a Core i5-2410M CPU at 2.3GHz and usually runs around 10-30% load with everything running. Because of this you want to make sure your laptop is always plugged in and its power settings are configured to never sleep, hibernate, or shut down the hard drive. I now have a custom security solution which was a fairly cheap investment. Please let me know if you have any questions, comments, or if this was helpful.